Both the ground and the residents of Alaska were rattled on Friday morning by a powerful 7.0 magnitude earthquake. The major temblor “violently” shook homes and buildings, damaged roads, and knocked out power in the State’s most populated city of Anchorage. The quake was reportedly felt up to 400 miles outside of the city. There were several reports of serious damage. Walls were cracked, ceiling tiles fell, contents of store shelves were littered across the floors, and an onramp to a freeway collapsed. One resident of Palmer, Alaska, said that it was “the most violent earthquake” that she had experienced in her 37 years as a resident. Four airports were closed in the State following the quake. A tsunami warning was issued for south central Alaska, but was canceled about an hour and a half later. Over 40 aftershocks have struck the State throughout the day, following the initial 7.0 jolt at around 8:30 am local time. At least 3 aftershocks registered over 5.0, with the largest being a 5.7 magnitude. The Governor of the State issued a disaster declaration. Lord Jesus prophesied that, in the Last Days leading up to His imminent return, there would be “powerful earthquakes” across the world. Quakes over 7.0 magnitude are dubbed “powerful.” Since the year 2000, there have been around 300 earthquakes that fall into that category. That is an average of over 15 per year. 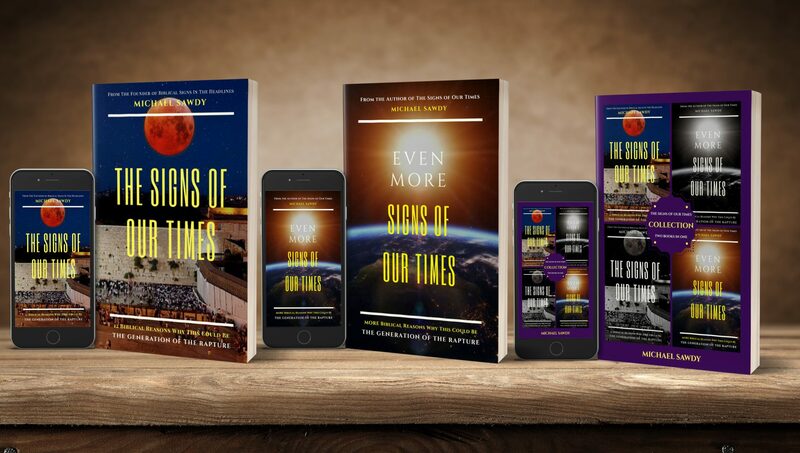 In my book, The Signs of Our Times , I warned that the powerful earthquakes which the other nations of the world have been experiencing could soon be shaking the USA. Perhaps today’s violent quake was the FORERUNNER for what’s to come? I ordered your book and have yet to receive…..did you get my order? Thank you! If you ordered on Amazon or from an online retailer they handle your order. God bless.